I first tried Modern Tea at the 2016 Vancouver Tea Festival, where one of the people in the booth was telling me about this solid tea. 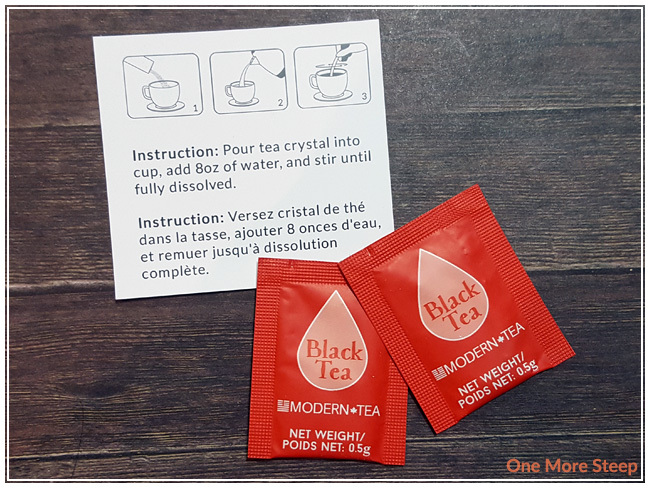 I bought a sampler packet with 5 different types of tea (2 packets per tea type), and I’m starting off the reviews of Modern Tea’s products with their Black Tea. Each tea packet contains 0.5g of tea, making it $0.70 per tea packet. Modern Tea recommends mixing one 0.5g packet of tea per 350mL of hot or cold water. The tea is meant to be dissolved in either hot or cold water. 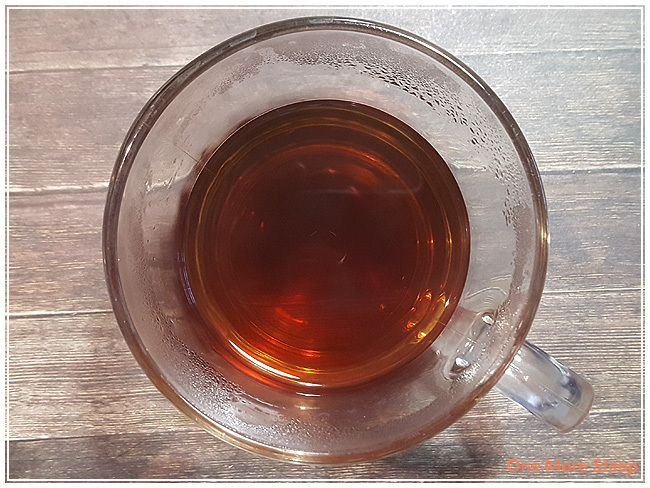 I used my (review) Breville IQ Kettle‘s black tea setting (100°C/212°F) for this tea – the weather is still cold outside, I’m not in the mood for iced tea yet! Black Tea dissolves completely after the addition of hot water, which reminds me a lot of those instant coffee sleeves that you can buy. 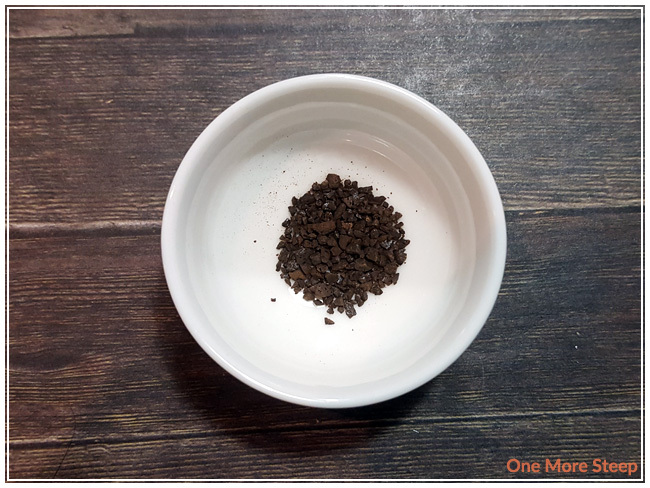 The nice thing about it is that there’s no tea leaves to deal with after for composting, but then I really enjoy the process of looking at how much tea leaves were able to open up when being steeped so I feel a bit cheated in my regular tea steeping process. The tea itself has a great malty smell to it, which transfers over in taste as well. There’s a mild astringency to the tea that isn’t off-putting. It lends itself to a slight mouth puckering, but there’s no bitterness to be noted. I find that the tea has a very strong taste to it, like a bold breakfast tea. The tea stands alone quite well by itself, because it’s so strong I think it would do well as a morning pick-me-up tea. As the solid tea completely dissolves, there is nothing for me to resteep. 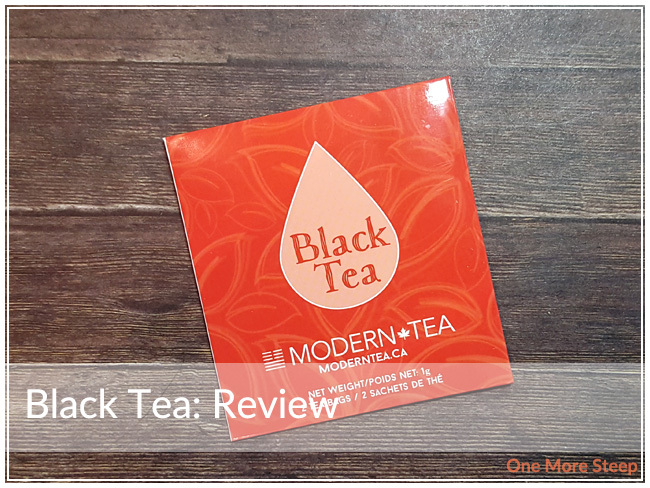 I liked Modern Tea’s Black Tea. It has a good flavour, and would be good for someone on-the-go that doesn’t have anywhere to put their tea leaves or to discard of them. I think it could be more environmentally friendly (with perhaps some kind of recyclable packaging), and the cost per cup is quite steep at $0.70/cup. It wouldn’t be a tea that I would be looking to keep on hand on a regular basis due to cost.